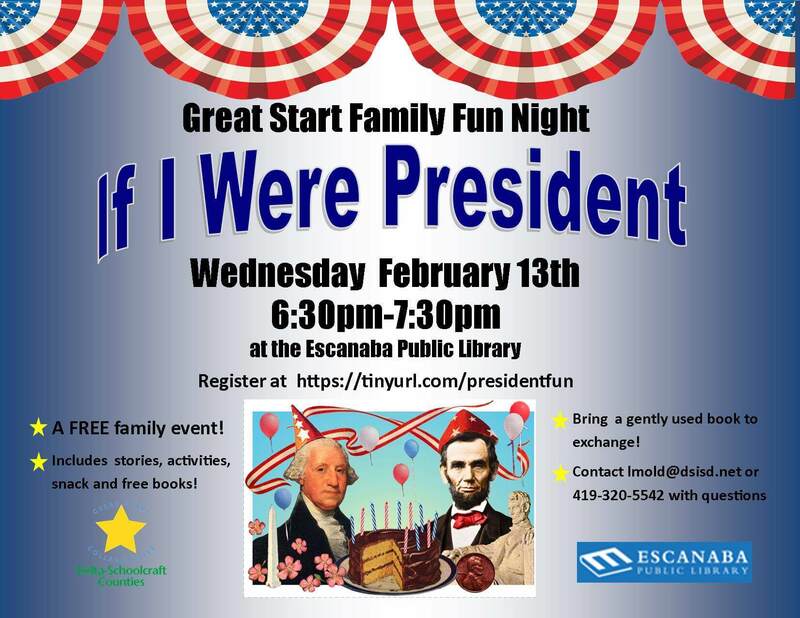 To celebrate Presidents Day we declare an officially silly family fun night with stories, activities, snack, craft and free books honoring our nation's founding fathers! Please register at: https://tinyurl.com/presidentfun This free event is pajama friendly. We encourage you to bring a gently used book to exchange to keep your home libraries fresh and exciting!